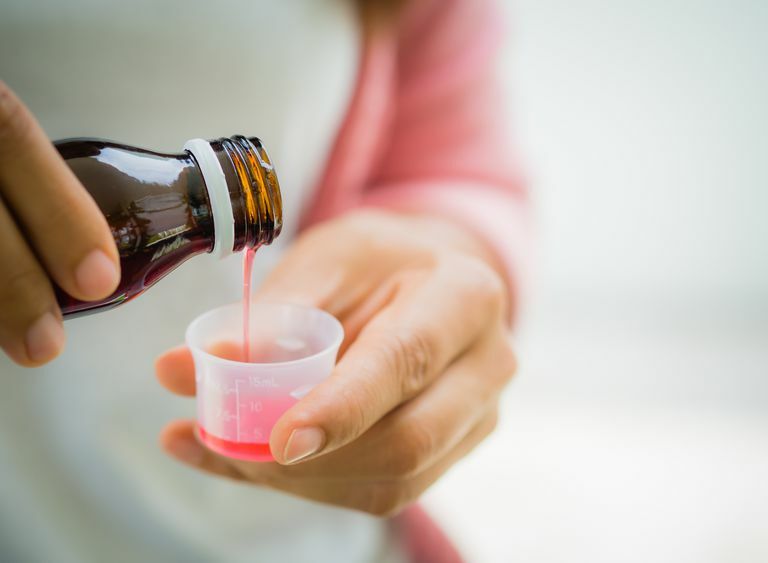 Magic Mouthwash is a mouth rinse often prescribed for people with mouth sores (oral mucositis) who are receiving chemotherapy, radiation therapy, or some targeted therapies. It is also available under other names such as Mary's Magic Mouthwash, Duke's Mouthwash, and Miracle Mouthwash. Since the particular ingredients vary depending on the formulation, there currently is little good research to confirm the potential benefits. Side effects are usually mild and include symptoms such as tingling and burning in the mouth. For those who develop severe pain due to mouth sores, other options such as cryosurgery are available. Chemotherapy-induced mouth sores can be more than a nuisance or a "pain in the mouth" for people living with cancer. In fact, many people don't realize how important healthy oral tissues can be until they have to cope with this common side effect of chemotherapy. Mouth sores can cause problems with eating, talking, swallowing, and even kissing (yes, intimacy is important for people with cancer). Of even greater concern is the weight loss that can occur when intake is diminished due to mouth sores. Cancer cachexia, or the syndrome the includes the combination of decreased appetite, weight loss, and muscle loss, is thought to be the direct cause of death for 20 percent of people with cancer. Since cachexia is challenging to treat, preventing weight loss by addressing anything that interferes with eating is crucial. Magic mouthwash is one of the different types of mouth rinses that have been used to provide relief from mouth sores. While it is most commonly prescribed for mouth sores due to chemotherapy, it may also be used to treat mouth sores that arise as a result of radiation to the head and neck region, and some targeted therapies such as Afinitor (everolimus). Discussing the ingredients in magic mouthwash, and how they may help provide relief, is challenging as there are many different formulations. There are several different ingredients that may be included. Can You Make Your Own Magic Mouthwash? There are make-your-own mouth rinses that you can put together with common kitchen ingredients, but these differ from most formulations of magic mouthwash. Magic mouthwash usually contains at least one (and often more) ingredients that require a doctor's prescription and a pharmacist to prepare. Since there are so many different formulations, it's important to talk to your pharmacist about how to use the mouthwash. With many preparations, roughly 2 teaspoons of the solution are placed in the mouth and swished around or held for around 2 minutes. Then the mouthwash is either spit out or swallowed. People will usually be advised to not eat or drink anything for 30 minutes after using the mouthwash. The process is then repeated every 4 hours to 6 hours. Since the formulations vary widely, so does the cost. Magic mouthwash may or may not be covered by insurance. As with any medical treatment, there are potential benefits that need to be weighed against possible risks. There is currently significant controversy over the actual benefit of magic mouthwash, and the variations in formula make it very difficult to study. Studies looking at particular components of the mouthwash haven't found it to be effective, and as pointed out in a 2019 article in JAMA Internal Medicine, it's important to remember that sometimes therapies that are used to "help" people may actually do the opposite. That said, anecdotal reports from both physicians and patients attest to at least some benefit in reducing pain with some formulations. Since the true benefits are unknown, it's probably most helpful to talk with your oncologist about her views. Since mouth sores are so common, she has likely had experience with what helps and doesn't help reduce the pain, and will be able to give you guidance based on what has worked for other patients. Risks depend on the ingredients used in the mouthwash. Formulations that contain a local anesthetic could potentially mask symptoms that would alert you to call your doctor. This numbing could also make it more likely that you would bite down on the inside of your mouth or even choke when eating. There are also potential risks associated with medications such as antihistamines, antibiotics, and even antacids. Allergic reactions: With both spitting or swallowing there is the potential of an allergic reaction to one of the ingredients. Unfortunately, some of the local side effects can be difficult to distinguish from an allergic reaction. For mild mouth sores, homemade mouthwashes (such as baking soda mixtures) may reduce the risk of developing a secondary infection. Morphine mouthwash: A 2015 study found that topical morphine mouthwashes worked better than magic mouthwash. Doxepin mouthwash: Doxepin is a type of antidepressant in a category that is sometimes used for chronic pain. In a 2014 study published in the Journal of Clinical Oncology, it appeared to reduce pain and is currently being studied in greater depth. Cryotherapy: Several studies have found cryotherapy to be beneficial, especially for more severe mouth sores. Other options that may offer benefit in the future include allopurinol mouthwash, granulocyte macrophage-colony stimulating factor, and even human placental extract. Since the jury is still out as to the effectiveness of magic mouthwash, it's important to be your own advocate and talk with your oncologist and pharmacist about their thoughts. Mouth sores can be very uncomfortable and could potentially lead to weight loss. While some people hesitate to bring up issues that aren't life-threatening while going through chemotherapy, it's important for your well-being and quality of life to speak up. Fortunately, since mouth sores are common and frustrating, research is in progress actively looking for better solutions than in the past. Sarvizadeh, M., Hemati, S., Meidani, M. et al. Morphine Mouthwash for the Management of Oral Mucositis in Patients with Head and Neck Cancer. Advances in Biomedical Research. 2015. 4;44. Uberoi, A., Brown, T., and A. Gupta. Magic Mouthwash for Mucositis: A Teachable Moment. JAMA Internal Medicine. 2019. 179(1):104-105.